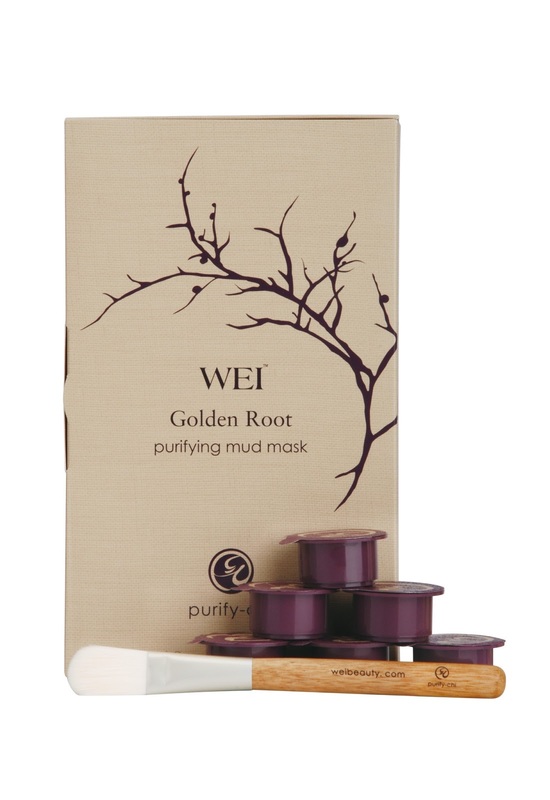 The Golden Root Purifying Mud Mask’s exceptionally powerful antioxidant Golden Root extract and China Clay rids impurities, removing dead cells, toxins and dirt without drying out the skin. The unique individual pods and application brush ensure the right amount of product is distributed evenly over the skin with each use. After 10 minutes, skin is left deeply cleansed, looking and feeling smoother, clearer and more refreshed. 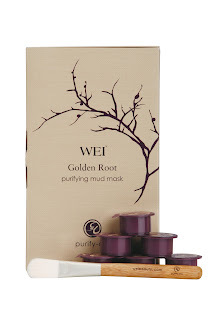 WEI Beauty Golden Root Purifying Mud Mask (0.3oz/8ml x 8 pods per box) retails at $42 and is available online at www.weibeauty.com and now for the first time in-store at Sephora stores nationwide and at www.sephora.com. This comes in a packaging with 8 different pods that kind of resemble smaller K-cup coffee packs. It also comes with a brush. I've never seen a product packaged like this and it is beyond adorable and luxurious in appearance when you first receive it. 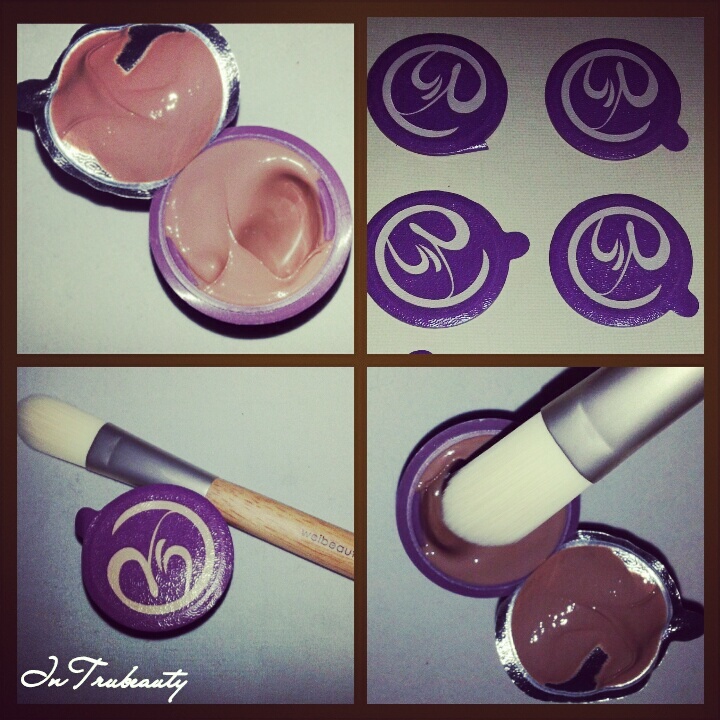 Unlike thicker mud masks, this has a lighter feel and texture to it. It reminds me of chocolate pudding. This feels absolutely amazing on the skin and the brush that comes with this kit is so soft and so wonderful. I know 100% I will be keeping this brush around and from now on applying other masks using this as well. There is a light to minimal scent that was not irritating. Because of the plant based ingredients I was worried about my allergies and having a reaction to this. I did a spot test and had no issues and I've used this many times since with no issues at all. I did check the website and did see this is allergy and dermatologist tested. When you first apply this, it has a cooling soothing sensation. It seems to warm up the longer it is exposed to the brush and the air. I did experience some tingling as well. I noticed when this was drying on my skin that there would be little bubbles or pockets and it looks like it is from the product removing and drying up some of the gunk in your pores. Easy to take on the go or for travel! Just pack 1 pod! One of the most noticeable benefits I saw from this was drying up blemishes and helping with their appearance. I had a monster of a pimple and could visibly see the difference before and after application of this mask. My pores absolutely looked cleaner and better. I don't know that they looked smaller and from everything I know you can't actually reduce your pore size, but they looked better for sure. I had no irritations or breakouts from this. My skin was soft, smooth and not dried out. At $42, you get .3 oz of product in 8 different pods and a wonderful brush. This comes to $5.25 per pod before tax. This product was sent to me for review and it would be a splurge for me to be able to buy this. I would highly recommend conserving this product. I found each pod to be enough to get at least 2 full face application uses. I also would use this throughout the week as a spot treatment The foil top is securely in place and yet easy to remove. What I did was I opened the top ever so slightly and would dip my brush into the product and then I would seal it back up. I had no issues with the product drying out this way and I got many more uses out of a single pod. I think you could probably get 2 full face applications and at least 2 spot applications from one pod. By spot application I probably used the product on 3-6 spots for each time I used it as a spot treatment. I also made sure to brush whatever was left from the brush onto my skin. If you can get 4 uses out of a pod like I did, then the cost per use would be $1.31 instead of $5.25. This is not skimping on product application either, there really is a lot of product to each pod. Get the most out of your money! I would recommend doing a full face mask once every week to once every two weeks with 1-2 spot treatments throughout the week. This was gentle enough that I could use it daily however. I also looked up reviews on Sephora.com and this had stellar customer feedback-14 five star reviews and 1 four star review). What do you think of this product? Have you tried it or any other Wei products? I love this product so much!!! I received it as a sample in a Birchbox months ago and fell in love. It's a bit too pricey for me to purchase but if I ever feel like splurging on myself, I would definitely consider buying this. I was surprised how much really is in a pod. If I purchased it, I wouldn't want to waste a drop and don't now either. At least four uses per pod makes this reasonably priced at least. 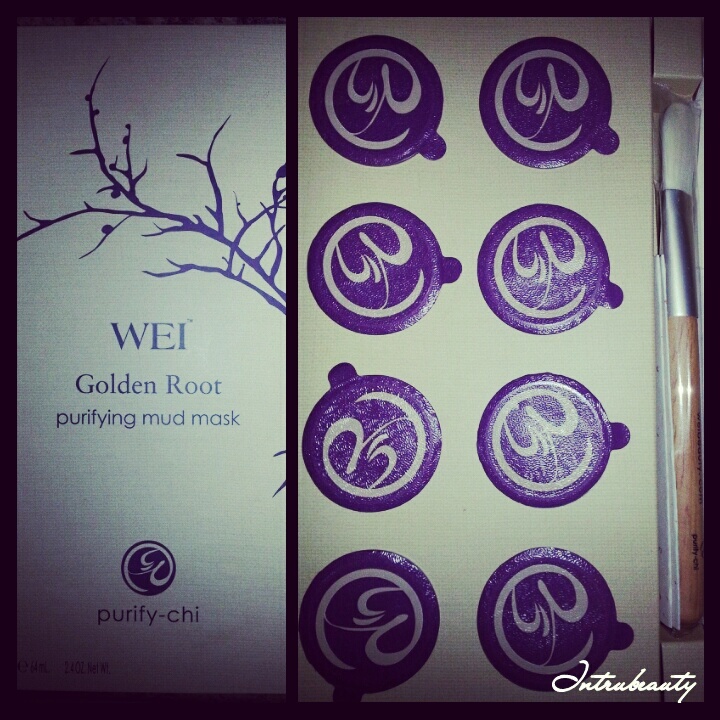 Its truly unlike anything I've ever tried and I'm a face mask junkie!! Wow very nice product really very useful for every one . Very great and Valuable information and excellent design you got here.. after i reading your blog I thinking that You would do a wonderful job in upcoming time ..